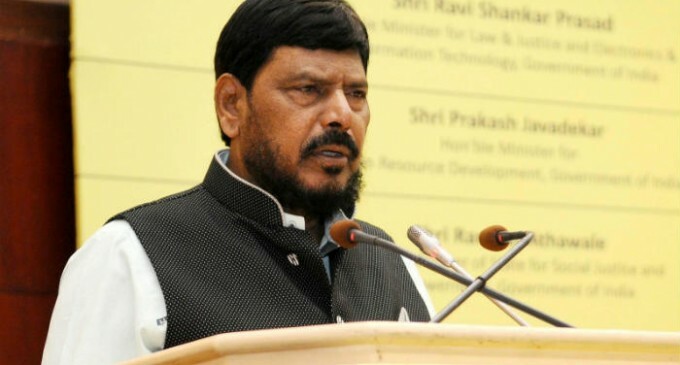 The Centre is committed to ensure that six communities demanding Scheduled Tribe status in Assam are granted the same, Union Minister Ramdas Athawale said on Sunday. “Assam government has sent the proposal to include the OBC communities Koch-Rajbongshi, Tai-Ahom, Chutiya, Moran, Muttock and the Adivasi tea-tribes in the ST category and we support this”, the Union Minister of State for Social Justice and Empowerment told reporters in Guwahati. Prime Minister Narendra Modi has also given the assurance that the communities will be accorded ST status and “we will definitely pursue it and ensure that it happens”. “If the Schedule Tribe Commission examines and recommends it, then a Bill can be introduced in the Parliament and ST status to these communities can be granted”, the Union Minister said. Besides these communities, the government would also like to provide reservation to economically backward people of certain general caste communities like the Kalita and Brahmins in Assam, Athawale said. “There are many people in these general castes who are economically backward and are in need of reservations in both jobs and education”, he added. There is, however, a deterrent in this matter as the Supreme Court has fixed the maximum level of reservation at 50 per cent but “if a law is passed increasing the level to 75 per cent, then social justice can be ensured”, he said. The Minister lauded the decision of the Assam government to penalise government employees who fail to take care of their aged parents by deducting 10 per cent of their salaries. “This is a very good step taken by Chief Minister Sarbananda Sonowal and other states should also follow this policy. Setting up old age homes is not a good step and children must take care of their parents,” he said. In Assam, there are 4,80,065 disabled persons and the state government has made a budgetary provision of Rs 225 crore for the year 2017-18. The Assam government has also increased reservations for the disabled to five per cent in education and four percent in the job sector. Job opportunities for the disabled have been created in 54 departments of the state government with 680 disabled persons given employment but there is still a back log of 4,285, the minister added.